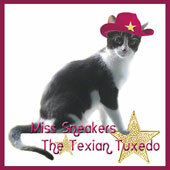 Good evening, felinity assembled, Sneakers the Texian Tuxedo here. We are hosting this week because our scheduled host, Samantha, of Life from a Cat's Perspective, is in need of your purrs and purrayers due to a medical issue of some concern. 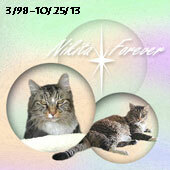 Our dear friend 1st went to the vet on Tuesday. A Wednesday update gave a clue about her issue and more should be known by Monday. 1. Bappy Hirthday to LadyRanger of StrangeRanger! Take a look at a vintage photo of Maddie! 2 and 3. Over at Sparkle Cat's blog...Get a look at Sparkle's niece, the half sister of Summer! Also January outtakes! Photos not used on the blog, or elsewhere, last month. 4. 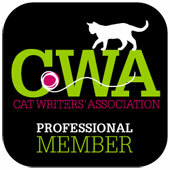 Over at Create With Joy...Magellan helps introduce a post about cats and curiosity and National Answer Your Cat’s Question Day, as well as a video about the top 10 friendliest cat breeds. 5. 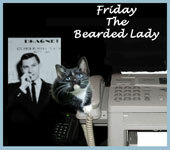 Over at Marian Allen's blog...Sweetie Pie misses her Mommy! 6. Over at CatSynth ...Meet Miles the cool SynthCat! 7. Over at Brian's Home...Brian needs lots of purrs and purrayers in the hopes that his pecker stops peeing so constantly! 8. 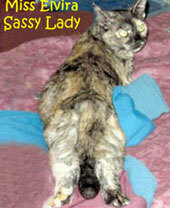 Over at Animal Shelter Volunteer Life...It's WomanCat Wednesday! 9 and 10. Over at Traveling Cats ... There are 2 posts devoted to cats in The Gambia...Kololi and Tanji. 11 and 12. 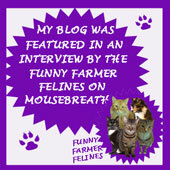 Over at Jan's Funny Farm... the gang shares the Cats vs Dogs Lucy Bowl Commercial and define misbehaving. Thanks for the mentions once again! I've been purring lots for Samantha! Great carnival! I need to remember to get in on this. We always love the Carnival! Thank you for hosting, pals!